I’ve known the rhyme since I was a boy, but I’ve never especially remembered that today is the day. 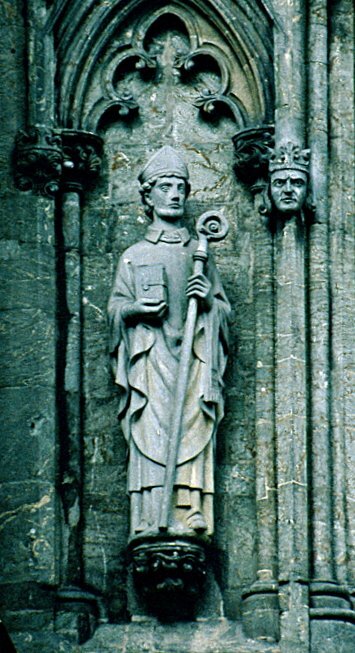 Swithun (Old English: Swīþhūn) was an Anglo-Saxon bishop of Winchester and subsequently patron saint of Winchester Cathedral. 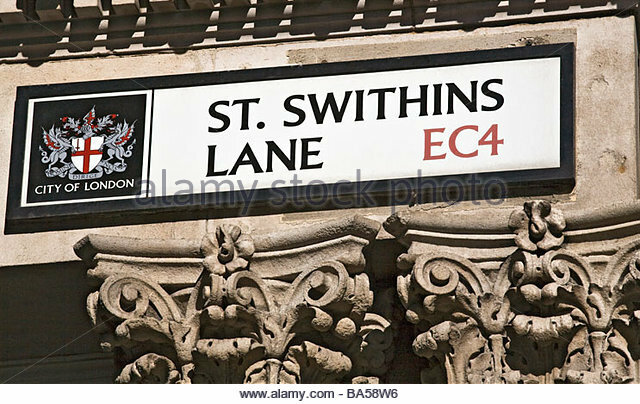 The precise meaning and origin of Swithun’s name is unknown, but it most likely derives from the Old English word swiþ, ‘strong.’ Swithun was Bishop of Winchester from his consecration in October 853 until his death on 2nd July some time between 862 and 865. Why his feast day is today and not the 2nd is not clear to me. Swithun is scarcely mentioned in any document of his own time. His death is entered in the Canterbury manuscript of the Anglo-Saxon Chronicle (MS F) under the year 861. His signature is appended to the witness lists of several Anglo-Saxon charters. Of these charters three belong to 833, 838, and 860–862. In the first, Swithun signs as Swithunus presbyter regis Egberti, in the second as Swithunus diaconus, and in the third as Swithunus episcopus. More than 100 years later, when Dunstan and Æthelwold of Winchester were inaugurating their church reform, Swithun was adopted as patron of the restored church at Winchester, formerly dedicated to St. Peter and St. Paul. His body was transferred from its almost forgotten grave to Æthelwold’s new basilica on 15 July 971, and according to contemporary writers, numerous miracles preceded and followed the move. The revival of Swithun’s fame gave rise to a mass of legendary literature. The Vita S. Swithuni of Lantfred and Wulfstan, written about 1000, hardly contains any biographical facts. All that has in later years passed for authentic detail of Swithun’s life is extracted from a biography ascribed to Goscelin of St Bertin’s, a monk who came over to England with Hermann, bishop of Salisbury from 1058 to 1078. From Goscelin we learn that Saint Swithun was born in the reign of Egbert of Wessex, and was ordained priest by Helmstan, bishop of Winchester (838-c. 852). His fame reached the king’s ears, and he appointed him tutor of his son, Æthelwulf (aka Adulphus), and considered him one of his chief friends. Under Æthelwulf, Swithun was appointed bishop of Winchester where he was consecrated by Archbishop Ceolnoth. In his new office he was known for his piety and his zeal in building new churches or restoring old ones. At his request Æthelwulf gave the tenth of his royal lands to the Church. Swithun made his diocesan journeys on foot; when he gave a banquet he invited the poor and not the rich. 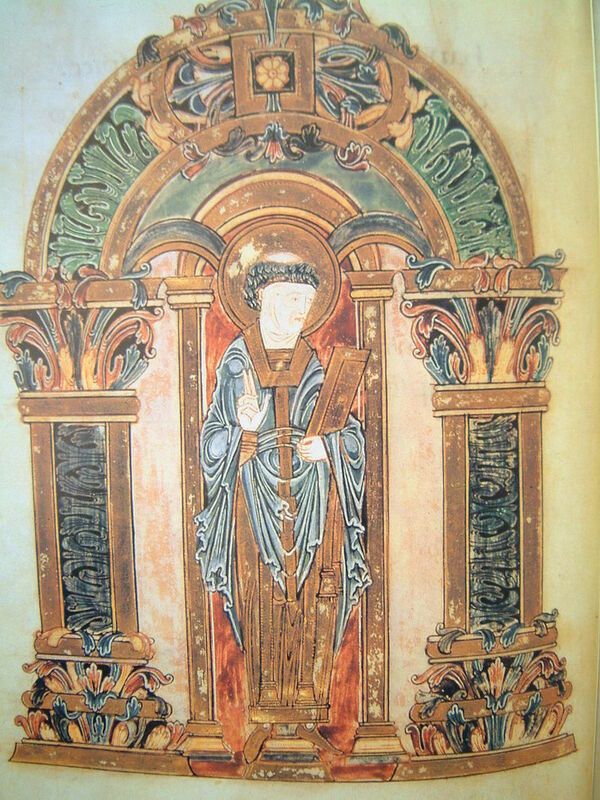 William of Malmesbury adds that, if Bishop Ealhstan of Sherborne was Æthelwulf’s minister for temporal matters, Swithun was the minister for spiritual matters. There is a not entirely implausible legend that Swithun accompanied Alfred on his visit to Rome in 856. He died on 2 July 862. On his deathbed Swithin begged that he should be buried outside the north wall of his cathedral where passers-by should pass over his grave and raindrops from the eaves drop upon it. 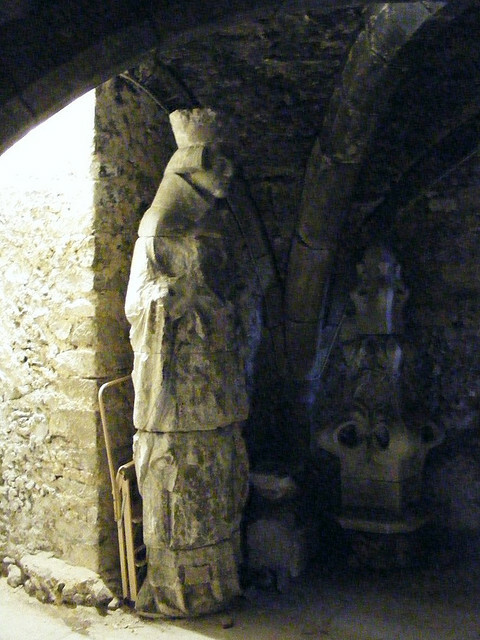 Swithun’s remains were moved from this outdoor grave to an indoor shrine in the Old Minster at Winchester in 971. His body was probably later split between a number of smaller shrines. His head was certainly detached and, in the Middle Ages, taken to Canterbury Cathedral. Peterborough Abbey had an arm. His main shrine was transferred into the new Norman cathedral at Winchester in 1093. He was installed on what was called a ‘feretory platform’ above and behind the high altar. A feretory is a portable shrine for relics. The retrochoir was built in the early 13th century to accommodate the huge numbers of pilgrims wishing to visit his shrine and enter the ‘holy hole’ beneath Swithun’s relics. His empty tomb in the ruins of the Old Minster was also popular with visitors. The shrine was only moved into the retrochoir itself in 1476. It was demolished in 1538 during the English Reformation. A modern representation of it now stands on the site. 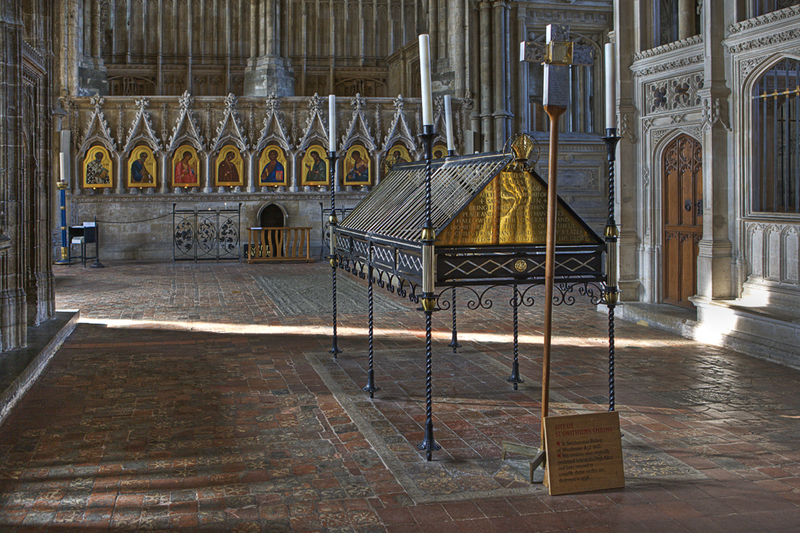 The shrine of Swithun at Winchester was supposedly a site of numerous miracles in the Middle Ages. Æthelwold of Winchester ordered that all monks were to stop whatever they were doing and head to the church to praise God every time that a miracle happened. A folk tale says that the monks at some point got so fed up with this, sometimes having to wake up and go to the church three or four times each night, that they decided to stop going. St Swithun then appeared in a dream to someone (possibly two people) and warned them that if they stopped going to the church, then miracles would cease. 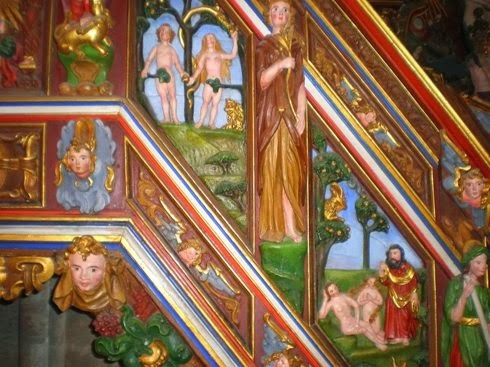 This person (or persons) then warned the monks about the dream they had, and the monks then caved in and decided to go to the church each time a miracle happened again. Swithun is regarded as one of the saints to whom one should pray in the event of drought. Many churches dedicated to St Swithun can be found throughout the south of England, especially in Hampshire. There is, for example, St Swithun’s, Headbourne Worthy, to the north of Winchester. This church is surrounded on three sides by a brook that flows from a spring in the village; the lych gate on the south side is also a bridge over the brook, which is unusual. 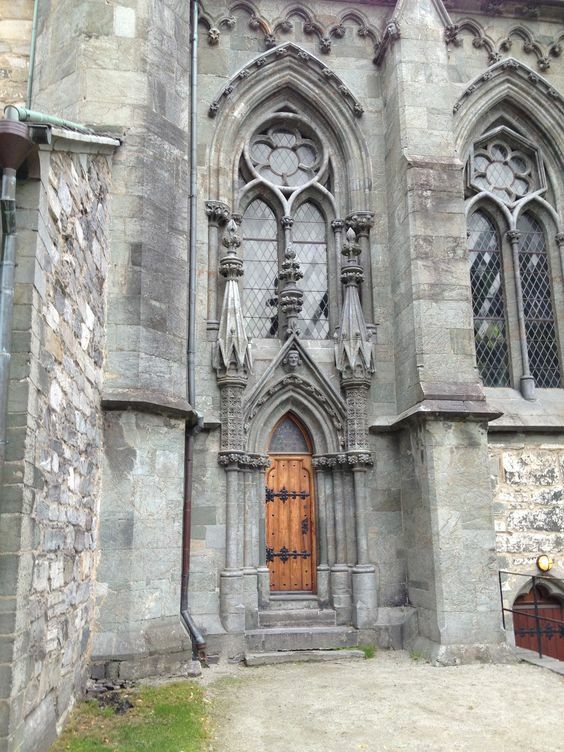 Other churches dedicated to St Swithun can be found at Walcot, Lincoln, Worcester and western Norway, where Stavanger Cathedral is dedicated to him. He is also commemorated at St Swithin’s Lane in the City of London (site of the former church of St Swithin, London Stone), St Swithun’s School for girls in Winchester and St Swithun’s quadrangle in Magdalen College, Oxford. You won’t find much in the way of traditional cooking in Hampshire in general let alone Winchester in particular. There is a cheese called Old Winchester (also known as Old Smales) which is quite popular these days. 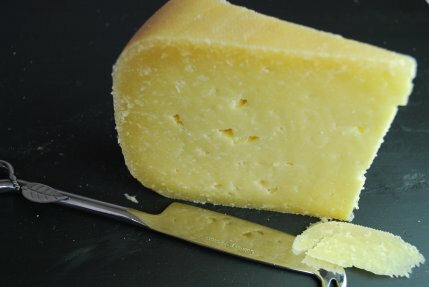 It is a mature, hard cheese, somewhat like Gouda with a characteristic nutty flavor that grates well. It can also be used as a regular table cheese. 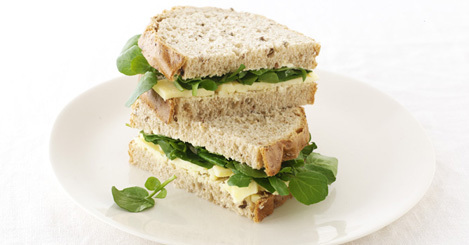 I suggest pairing it with watercress in a wholewheat sandwich. Winchester was the corn market for Hampshire for centuries, and nearby Alresford was famous for its watercress.